The inspiration for this picture / scene started with the new Montana shoes from Essenz. I knew I really wanted to showcase them and this scene came just came about. The shoes are currently at The Season Story, but only until the 31st. So hurry on over there! 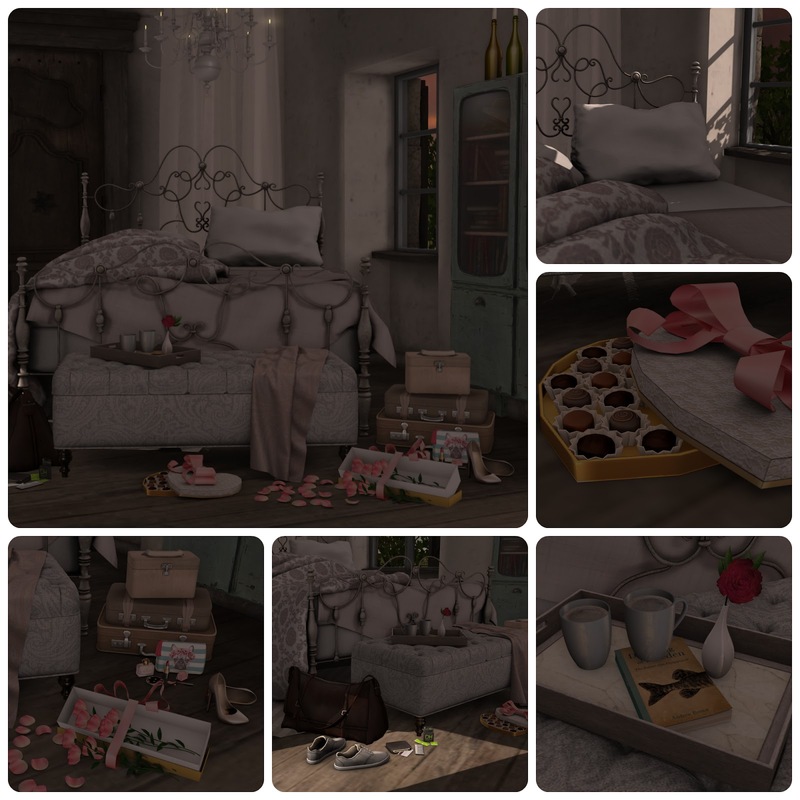 Have you checked out the new bed by Hive? It's called, "Goodnight Bed" and I think it's just lovely. I love the iron posts and headboard. It also allows you to change the textures of all the the sheets and pillows. It's quite charming and a nice addition to any pixel house. I really had a hard time trying to choose witch picture to go with. I wanted to share some of the "outtakes" with you. Loving this top from Ison! I might just have to go back for a few more clothes. I've seen some bloggers wear it with a high-waisted skirt and it looks amazing! Special thanks to Dominic, who waited so patiently, while I took this photo!